Rabbitgoo store is founded in 2015. We are a young but fast-growing team in pet supplies field, including no pull dog harness, dog light up harness, dog leash, dog seatbelt, dog training pouch and so on. Our company is mainly in the industry of cross-border e-commerce. We sell our own branded products to worldwide. The value of rabbitgoo is coming to the face of all the team, the country and up to the world. We are on our way! We are always practicing our own values and doing things that benefits the whole community. As a seller, all we want is to push our brand to the international stage. As a dog protector, all we want is to give shelters to much more dogs. We love dogs, we take actions. Dogs are known as "man's best friend" for a reason. Owning a dog isn't always all fun and games, though. 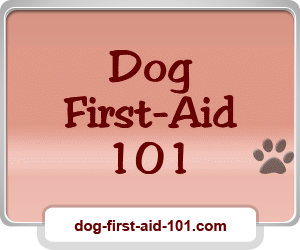 Dogs need to be properly cared for and can have all sorts of issues. Fortunately, because we all love dogs, weall have the passion and experience with dogs. We all hope to give a return for what they've done to make us happier and not feel lonely. Now here, we could do something for your little puppy. And we will never stop looking for better alternative for your dog. If you are dog lovers, why not join us and give your dog a better life? Rabbitgoo store began in 2015. After years in the pet care industry, we realized that it was near impossible for the average to own a protective harness for their pets. Traditional dog chains or leashes couldn't give enough security for the dog. They may still get hurt sometime. Our work is to find a way to make dogs feel easier , more confortable and safe, at the same time let them free. We care for each dog, we care for each dog owners. For years, we are highly received and recommended by our customers. And they have taught us the value of a hands-on approach and an insistence on quality. We are making progress on improving customer service day by day. If you have any question at any time, feel totally free to contact us.